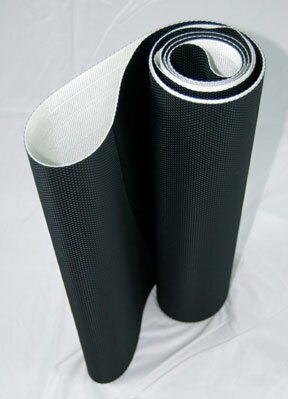 Interested in a new piece of equipment for the home gym? The Precor 9.27 Treadmill with ground effects technology is a high quality treadmill, perfect for home use, and available at a reasonable price. It can be found in many gyms and hotel workout facilities. Warm brown with warm white accents, the treadmill is attractive as well as functional. Currently listed on Amazon.com for $2,299.00 with free shipping, the Precor 9.27 treadmill has a wireless heart rate control feature. The patented ground effects impact control technology provides excellent shock absorption, is low-impact to reduce joint stress, and features aluminum running boards with full length handlebars. 10 pre-programmed workouts included, including (2) heart rate control, 5k track, interval, hill climb, weight loss, and manual. Patented Ground Effect Impact Control technology provides a firm push-off surface at the back and cushion impact at the front. The treadbelt, at 20” x 57”, can comfortably handle the stride length for any runner. The overall size for the treadmill is 81 x 31 x 54 inches. The Precor 9.27 reduces joint stress, helps prevent injury and minimizes fatigue. The treadmill features touch and telemetry heart rate monitoring, a maintenance-free belt, and a 3.0 HP continuous duty motor. The Precor line of treadmills has won many awards; recently Consumer Reports named the Precor 9.35 Treadmill a consumer best buy. It operates at a maximum speed of 12 mph, with 0% to 15% incline. One of the favorite features of consumers is the wireless heart rate control with SmartRate. This allows the runner to optimize their workout by keeping them in their chosen zone-cardio, fat burn or peak cardio-through heart rate monitoring. The 9.27 treadmill by Precor offers features only found in more expensive brands. The warranty is excellent, covering lifetime frame, welds, one year labor and five years on parts. The display shows heart rate, distance, calories burned, time, pace, incline and program profile, all at one glance. Another selling point is the reasonable price. Listed on Amazon at $2,299.00 with free shipping, the value of the Precor 9.27 is unparalleled. A club-quality, low-impact treadmill for your home, featuring full length handlebars and 20” x 57” treadbelt, this is a purchase that will last for many years to come. It is difficult to find any negatives when discussing the Precor 9.27. In consumer reviews, it is mentioned that this treadmill is heavy and difficult to relocate, weighing in at 238 pounds. Also, the Model 9.27 is manufactured in China, which may not meet with approval for those who buy only American made. One minor problem mentioned is when a program is completed, the treadmill does not come to a gradual stop but stops rather too quickly. While the Model 9.27 does not compare to the the Precor 9.3 series, it is an amazing buy for the price. There may be better warranties available, but when compared to models in the $2,000 range, no other treadmill can come close to the features and durability of the Precor 9.27. The Precor 9.27 offers a superior running experience for the home gym, with a wide variety of workout programs, a SmartRate heart monitoring system and a superior warranty. This is the treadmill of choice for your next workout purchase. According to Amazon.com, consumers give the Precor 9.27 a rating of 4.7 out of 5, noting the superior construction and durability. After owning more expensive treadmills like the Horizon Fitness T202 treadmill, and constantly having to pay for expensive repairs, one consumer gladly made the switch to Precor and found it to be a superior piece of equipment.